I know that summer just started for most of us, but believe me, it will be over before you know it! With three kids, one of the things on the new school list is always a new backpack. Not because the kids backpacks have worn out, but because the kids love having a new pack for each school year. We use backpacks for everything from carry on's, beach bags, library book bags and sleepover packs. So even when they aren't being used to carry books to school, they are being used for something else. When shopping for a backpack, I always look for one that will fit well on my kids and distribute the weight of the bag evenly so that it isn't creating too much strain. Those bags can get heavy! Owen, my 7 year old, picked out this new pack from Yak Pak. With a few days of school left, he switched bags and on our walk to school, found that he could still play on the playground equipment no problem! We walk to and from school and when I picked him up after about a week of using this Yak Pak, he told me that he loved this new bag because it made everything so light. On the last few days of school with loads of stuff coming home, that's saying something! 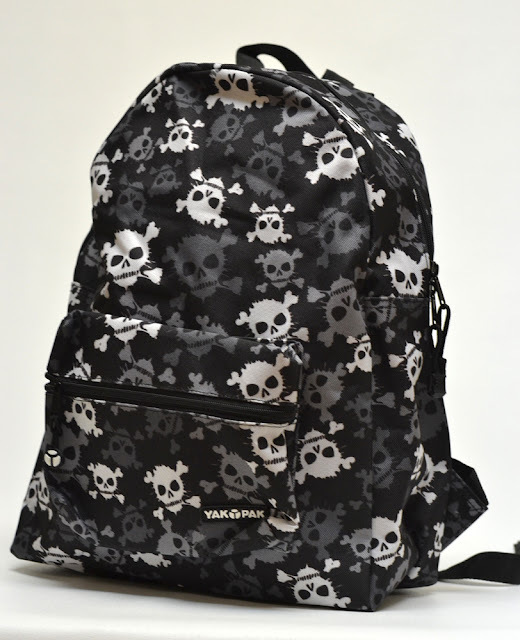 As always, I love to give my readers things that I love, and I love a good sturdy backpack for my kids! Yak Pak is kind enough to be offering up one free item plus free shipping from any product they like from their website. Would you like to win? Just leave a comment below telling me what you like to carry in your backpack. A winner will be chosen on Tuesday July 2. Show some love and visit Yak Pak twitter facebook instagram pinterest Good luck! 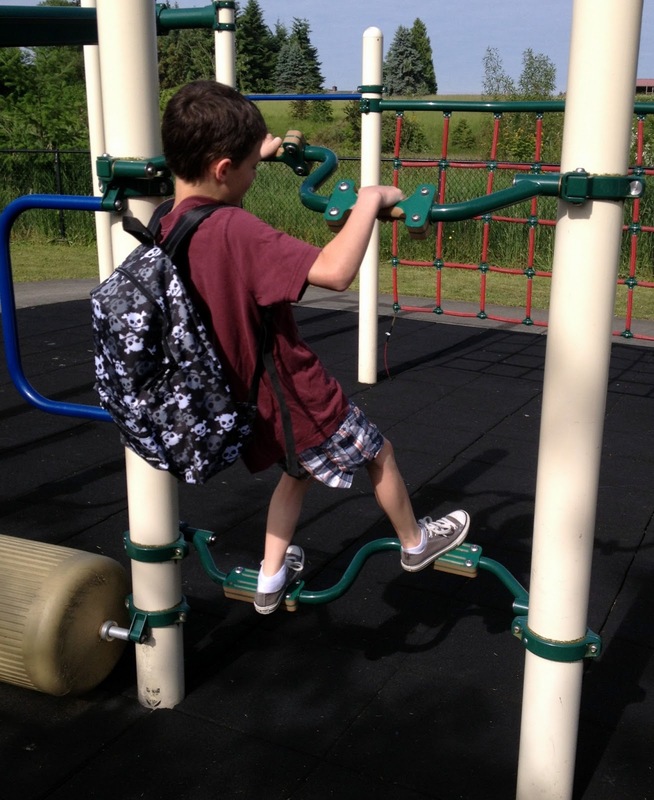 We use our current backpacks much in the same way you use yours - library outings, school use, quick overnight trips, park & pool play, etc. I've recently been introduced to Yak Pak myself and am excited about the opportunity to win! Lots of books and lunch box too. Love the look if his backpack. Very cool! I still need to get my son a backpack for Kindergarten this year and these are great!! Sooo, I would put school supplies in it. :) Thank you for the chance to win! What an awesome prize. I'm thinking arts & craft supplies to keep stashed in the car. 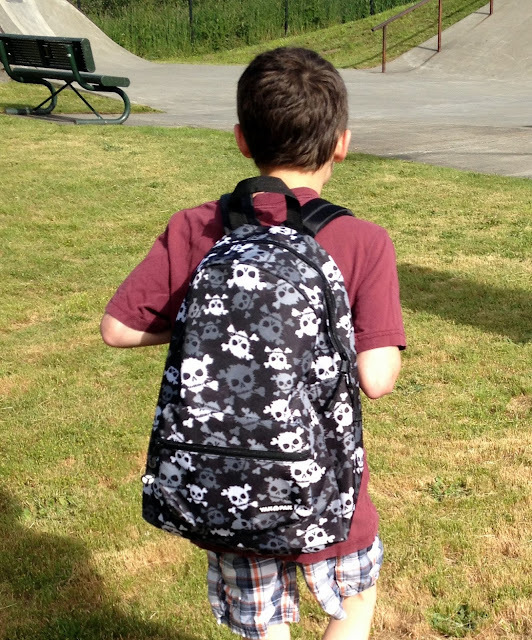 When not in school, my boys' backpacks serve as carry-on bags or sleep-over bags. Sometimes they use them for sporting equipment. Nice backpacks can be crazy expensive! Would love to win one! I like to use a backpack for going to the pool/river/beach and carry sunscreen, towel, sandals etc. My backpack is usually used for the boat so there is some sunscreen, a water bottle, towel, and camera in it. Backpacks are essential at our house, not just for the school going child. We have a well loved REI backpack that has been around the world as well as used for day trips, as a carry-on, picnics, etc. We love a good, sturdy, well made backpack. My oldest daughter uses her backpack for school, of course. My husband and I like to use ours for day trips, packing snacks in, and maybe even an adult beverage or two. Thanks for a great giveaway!!! This would be cute for my 5 year old to take to school in the Fall. I'm sure he'll fill it with books. my kids need backpacks for school! I did all of them Rachel! As a school teacher, I use my backpack a lot for transporting student work home to grade and other teacher supplies to get the job done. I also enjoy using my backpack when I travel as my carry-on.It is full of snacks, my ipod/tablet,lots of books and a light jacket. It works great for weekend get-aways too. I look forward to having the opportunity to win a new backpack for the start of another school year!! I want to enter! What don't I carry is a better question as a mom of 2 kids! Usually its spare clothes for the messy fun we're about to have and sunscreen and baby wipes for quick clean up! Snacks,stuff for the park,baby wipes,water bottles. forgot my email address so deleted the other post. I would give it to my granddaughter for 1st grade.